Cracker time will never be the same! 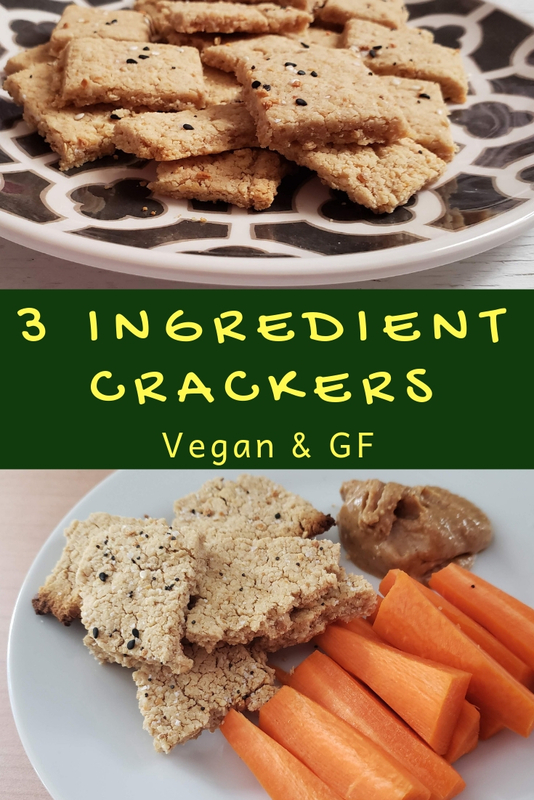 Using chickpea flour makes these gluten free and higher in protein than your typical cracker. And with only 3 ingredients, you can be eating these quicker than it takes to get to the grocery. 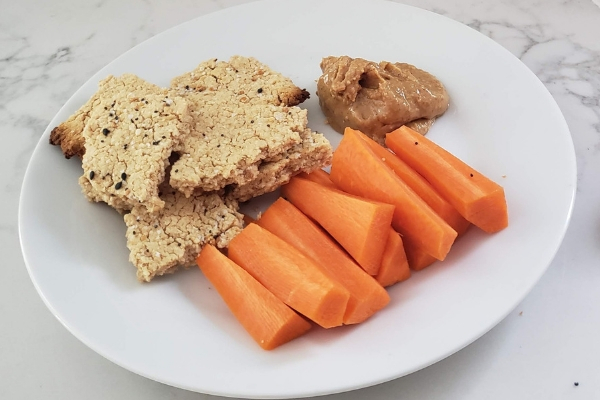 Crackers are an easy snack (paired with peanut butter or cheese is my favorite! 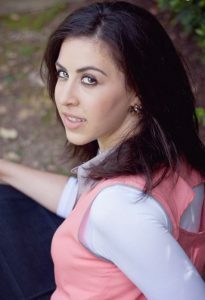 ), are so good dipped in soup, and round out any meal. These are super simple to make; why not get the kids involved with it? 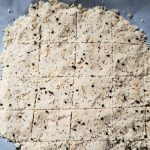 They can pour in the ingredients, give it a stir… and because the dough is only scored and not cut through, they can easily cut into the dough using a plastic or butter knife. Involving kids with food preparation is a great way to expose them to new food and teach them important skills. If you’re trying to increase your family’s intake of pulses (like chickpeas, lentils, and beans), it’s a good idea to serve it in many different forms (like these roasted whole chickpeas, these creamy chocolate PB squares and this soup). 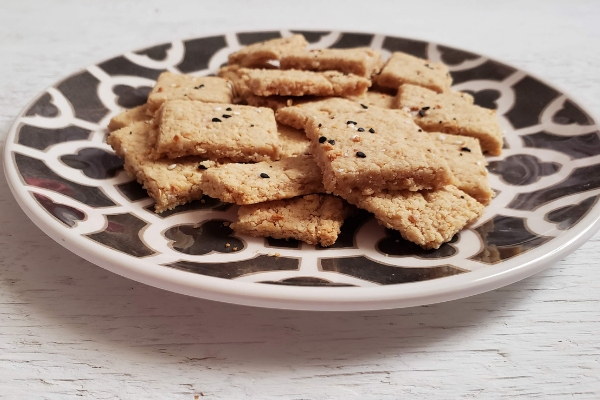 Chickpea flour crackers is one more form! And because these look similar to foods they may already be comfortable eating, they may be more willingly tried and accepted. I’d love to hear how it goes with your family! 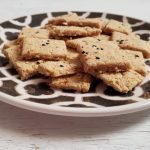 Chickpea flour gives a savory flavour to these gluten free & vegan crackers. 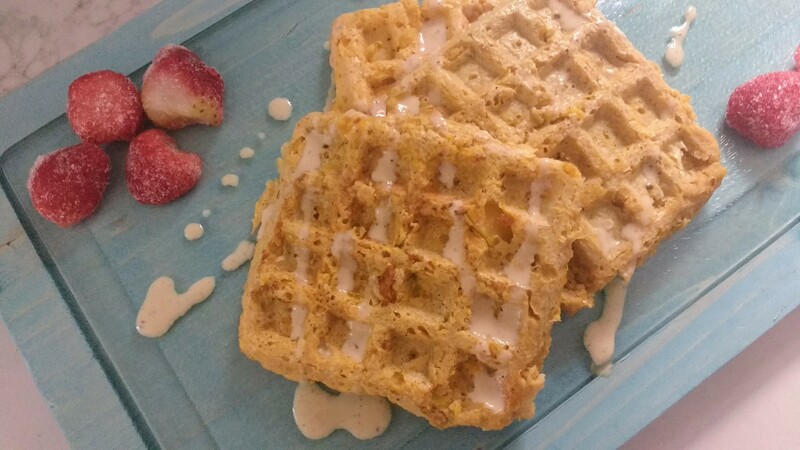 So easy to make and delicious to eat. You can season with salt, pepper, garlic, and sesame seeds if you don't have the spice mixture.